← What is your “philosophy of homework”? 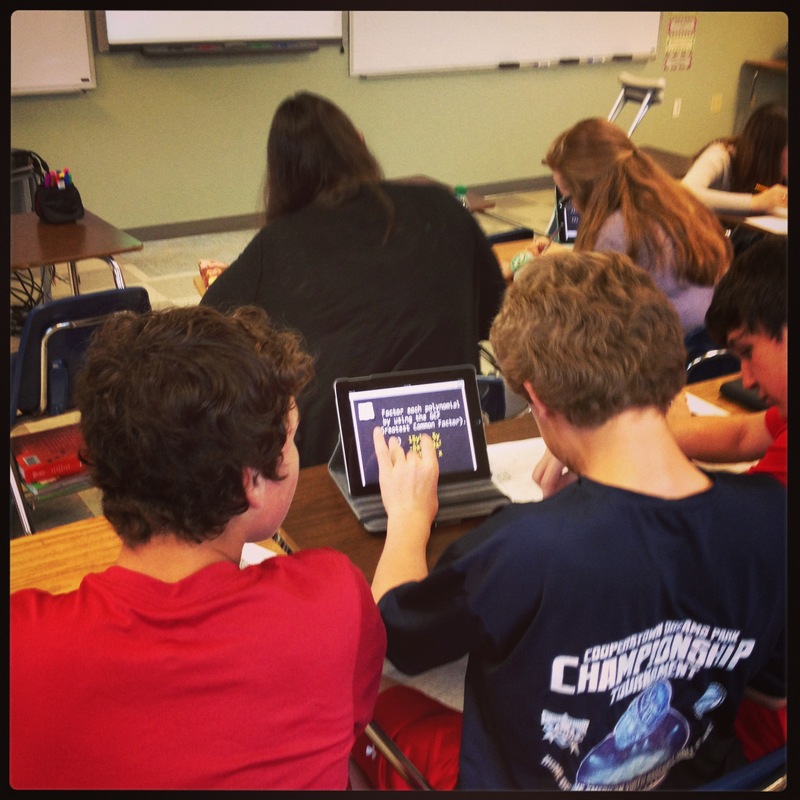 Monday – the day after the weekend and before a visit to TCEA13 in Austin – what’s an algebra teacher to do? Why not something QR-operative? 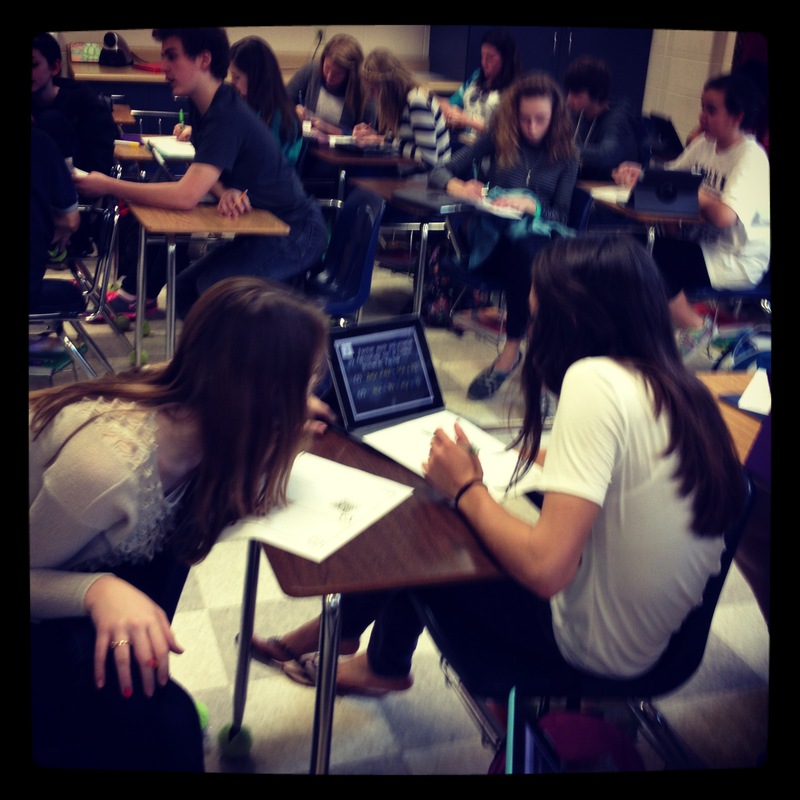 (think cooperative, but using QR-codes… I so easily amuse myself…) On Friday, I felt like I did WAY too much talking during instruction, and students needed a day to talk to one another. 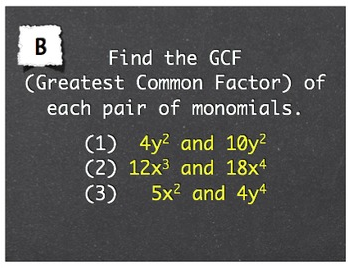 I examined my list of learning targets for this unit on factoring polynomials, and made 6 Keynote slides – a slide to address each one. 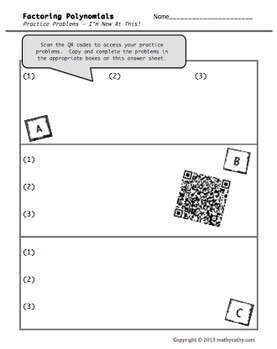 After saving the Keynote as a PDF and splitting it into two parts, I housed each of the two PDFs on a “hidden” page in my Weebly teacher website, created QR codes linking to each of the documents, whipped up a template for student work, and gave them lots of opportunity for math conversation today. It was exactly what they needed – what a joy to witness “A-Ha!” moments! Here are a few classroom pics – you can almost hear the meaty math talk just by looking at them!